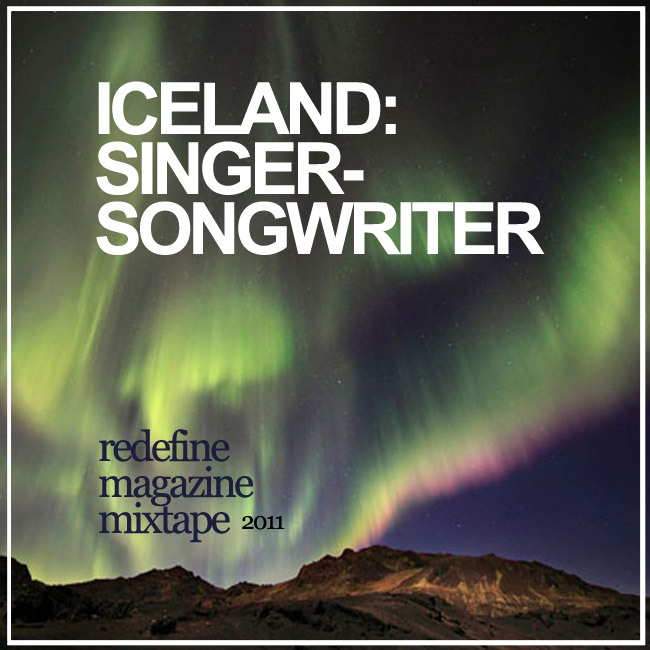 Over the course of three days, we will be rolling out a three-part, comprehensive mixtape covering many bases of the Icelandic music scene, to supplement our feature about The Real Icelandic Music Scene. The feature digs beneath Iceland’s obvious musical exports like Sigur Rós, Múm, and Björk, and finds out what everyday life is like for the average Icelandic musician. This mixtape – the last in a series of three – focuses on singer-songwriters and solo musicians, and explores just how far one person’s creativity can be stretched. We contacted a number of Icelandic record labels and independent musicians to exclusive permission to host MP3s just for this mixtape. You will not find the majority of these MP3s available for free anywhere else on the internet… so enjoy! Sin Fang is Sindri Már Sigfússon – also of Seabear fame — and this song is one of the few from this series of mixtapes that has celebrated some international recognition. Þórir Georg has two solo projects — this and My Summer As A Salvation Soldier. This track is stripped down and shows the beauty of the Icelandic language. Like pulling Yoni Wolf of WHY? fame into a less abstract, more acoustic world, Dad Rocks! Is an Icelandic musician who spends part of his time in Iceland and part of his time in Denmark. Snorri Helgason’s folk pop just feels sincere, and “Freeze-out” is a celebration of this sincerity. Former GusGus member Hafdís Huld has crafted a song that sounds a bit like a tropical conga line (a funny sonic word coincidence, as “Köngulö” is apparently a spider). Anyone who has seen Ólöf Arnalds perform knows that she radiates warmth. She is the sonic equivalent to a brisk, sunny afternoon. What’s this? A back-to-back showing of music by first cousins Ólöf and Ólafur Arnalds! But where Ólöf is ukelele-toting, Ólafur is a delicate classical composer. “Retaliate” is the single from Benni Hemm Hemm’s EP of the same name — his first English language album. The completeness generated from layers of vocals, especially towards the end of the song, would feel the same in any language. Named after a Charles Bukowski book which follows an unloved nobody with the world against him, this track certainly resolves positively, but contains universal feelings of worthlessness and powerlessness. In contrast to the previous track, “Why Do I Worry,” by bluesy singer-songwriter Lovísa Elísabet Sigrúnardóttir has an almost Zen-like quality of acceptance. Another output from a member of Icelandic indie rock band Seabear, “Theater Island” is simultaneously nostalgic and ambiguously fantastical; it’s like an amusement park pulled out of childhood memory, transplanted onto a deserted island. A combination of insane synthesizers and singer-songwriter staples — and in this case, perhaps influence from The Beach Boys — Just Another Snake Cult frequently sounds something like Cryptacize, only with male vocals. Prinspóló is the solo project Svavar Pétur Eysteinsson (Skakkamanage, Létt á bárunni), who apparently likes to write love songs on empty stomachs and in damp basements. This track certainly feels stark. This track by Pétur Ben shows the singer-songwriter demanding an intellectual call-to-arms in a raw, almost Anarchist way. No filter, and plenty of emotion. In addition to making minimal electronic compositions, Viggósdóttir also is a contemporary installation artist. The sound sculptural qualities of her music seems to fit with this slowly-transforming darkness. It’s true that this is the second of Loji’s tracks on this mixtape. Just couldn’t resist, though.